In her first book of poetry, Canadian poet Debbie Okun Hill leaps from the bleachers into the light and shadow of the sports world. Mixed with the poetic portraits of sweat…the thirst for first…and the juicy taste of orange victory are the metaphorical snapshots of tarnished men and women, the unrewarded failures, and the need to reflect. Tarnished Trophies wrestles the athletic soul: this essence of winning and losing, loving and changing, growing and shaping. In a recent conversation former hockey player Wayne Gretzky — the Great One — is quoted as saying, “If I were playing in the NHL today …” and it is not difficult to infer a certain level of melancholic wishful thinking that must haunt almost every athlete no longer in his or her youthful prime. 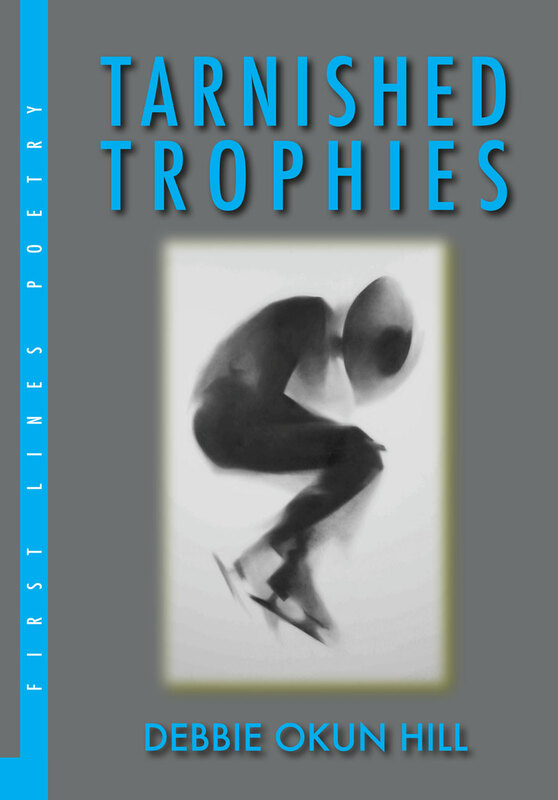 When poet Debbie Okun Hill dedicates her first full-length poetry collection with these words “for my athletic family …” one can expect a knowledgeable, respectful, serious consideration of the nature of sport, the value of competition, the thrill of play, and given her title Tarnished Trophies, the bittersweet glory days of the successful athlete. For it is time that tarnishes trophies, and trophies are both a true reminder of accomplishment and an ironic symbol of achievement in the past. Surely, being in the race, in the heat of competition, in the game and playing is the greater source of joy. Winning happens in an instant and that instant is fleeting and the glory short lived. Trophies are reminders and memory of youth is not the same as the exhilarating experience of being young and full of the energy and vigor and promise of youth. As though to confirm the fact that this book of sports poetry is about more than sports, it is also about the poet’s time-honoured concern with mortality, Okun Hill begins her opening poem with a race “waiting for the starting pistol’s/white puff of smoke,” and ends her last poem with this conclusion “somewhere lost in the heavens/the race continues”. Like all of the best sports literature Tarnished Trophies, partakes in essential particulars with lines like “guzzle-gulped sports drinks,” and “Warm water/with a taste of salt,/these bodily fluids/ beaded dots on his brow” confirming a first-hand experience as a fully-engaged participant and as an observant spectator. Like the poet without a reader, the athlete without a spectator feels incomplete. And sometimes the spectator is a loving parent, sometimes a fan, sometimes an ice bunny, sometimes a collector of memorabilia, and sometimes the self, looking back on former glory, or the self, looking back on the overvaluation of athletic achievement and the undervaluation of other kinds of glory. In one particularly fine poem she writes of the asthmatic girl with “no home run, no medals in sight for her/not even a pat on the shoulder/ when she entered the spelling bee contest/ came home alone with a third place ribbon”. Tarnished Trophies offers a tantalizing taste of Debbie Okun Hill’s unique talent and like fine wine should be savoured to appreciate her mastery of the written word. From Trip Diary—a clever piece—to Going Phishing, Her Last Play in the Soccer Game and the formidable At The Click of a Stopwatch, she invites you to embrace and relish her special gift. In this, her debut book of verse, the reader finds a precise attention to detail—we know the devil is in the detail– that sharpens and focuses her writing. Whether through athletes, onlookers, or inanimate objects, Okun Hill’s images are astute. In Missing Mate, even a lost shoe springs to life through her perceptive eyes: his leather exterior/brown autumn decay/leaf caked mud on/tough white skin/all eyes open…. Her writing style is uncluttered with no word waste yet embellished with rich metaphors that paint a powerful image. For example, in Spilling Warm Lemonade, she presents the perfect picture of a routine action, sitting in a lawn chair: I remember sinking/soft slow slide/deep in summer’s/webbed chair/the way it cushioned/made crisscross imprints/on the back of my thighs…that later contrasts with latent anger: kicking your thoughts/against wooden fence. Her attentiveness continues with her characters, like the lone fisherman in Engaged on the Shoreline: a bachelor, novice fisherman/sits engaged, complacent/meditating, un-groomed/brown hood like monk’s robe/pulled over his head…. I am sitting in the gym of the University of Alberta, watching the 2014 Canadian Table Tennis Games. Between games, I open Debbie Okun Hill’s Tarnished Trophies. This is Mrs. Hill’s first collection of poetry. It paints a picture of the athletic soul through the light and shade of the sports world. Around me, I can hear the cheers near and far and ping pong balls bouncing back and forth. Her poems “It Starts Here” and “Hockey Parent Pilgrimage”, perfectly resonate with my memory of my son’s athletic journey. I still remember when we drove through storms to other cities for Ontario basketball tournaments. Like each athlete and parent in her book, we too have experienced the excitement of winning and the sorrow of losing, we have witnessed the players fighting through ups and downs between hope and despair, and “wondering how long this practice…will last” and where the “go-go-gold” leads… when “slithering snakes on patrol/ready to trip the weakest warriors”. This book not only visualizes the tough practice of both body and mind, but also reflects on the sacrifice of the family. An athlete’s journey becomes the whole family’s journey, full of sweat and tears, brimming with cheers and faith. From “Thirst for First” to “The Finish Line”, each mind races with ticks of the watch, each stretching with longing for every golden moment…yet there is silence falling “At the Click of a Stopwatch”, there is a dilemma to find an end at “This is Where it Ends”. 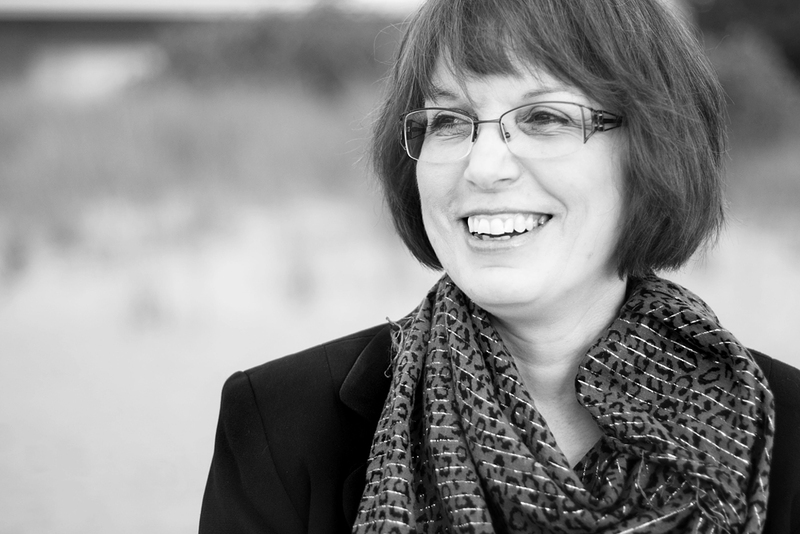 Debbie Okun Hill – Author of Tarnished Trophies (Black Moss Press, 2014) Photo courtesy: Melissa Upfold for The Calculated Colour Co. Recently published in these books, anthologies, or literary journals.